This article is reprinted with permission from Huwieler.net. January 2017 – as one of his final acts in office, President Obama yesterday commuted the 35-year prison sentence of Chelsea Manning down to just four years with a scheduled release date of 17 May 2017. For supporters, it must have been an unbelievable victory, and for her critics, an outrage. For those that have known her, there’s an added dimension of anecdotes, personal interactions, and concrete memories of her conduct, all of which color the quality of that commutation. She is a hero to some, a traitor to others. Either she was an idealistic do-gooder who was intent on revealing state-sponsored human rights violations while exposing the darkest corners of the U.S. Government, or she was a coward suffering delusions of grandeur who invented enemies to blame, lashed out at her own country, and revealed nothing but her own self-sponsored narcissism. Which one is accurate? Let me tell you a story. In the Manning saga, the debate has always been over her state of mind leading up to and during the theft and dissemination of that classified information. There is no debate regarding the basic facts of what she did and what was done with her. During her 2009-2010 deployment to Iraq, she stole diplomatic cables, daily intelligence reports, and combat footage; she fed that information to the anti-secrecy website WikiLeaks, then separately admitted to as much to a grey-hat hacker named Adrian Lamo, who in-turn contacted U.S. Army Counterintelligence. She was convicted in 2013 on 17 original charges and four more amended charges, including violating the Espionage Act, for her role in illegally disclosing over 700,000 pages of classified documents. To date, Manning has been tried, convicted, imprisoned, and as of yesterday, scheduled for release. As such, Manning has been a specter in the background of the Obama presidency and a central figure in national debates about everything from Iraq War policy, to the security practices of the Intelligence Community, to the weaponization of information, all the way to conversations about how the LGBTQ community is treated both in and outside the military. Likely few-to-none would have predicted such an unassuming person would be at the center of so much controversy. That is, unless you met her when she first joined the Army and she started down a trajectory toward infamy. In hindsight, maybe it was obvious. Chelsea Manning and I enlisted in the U.S. Army during the Surge in the fall of 2007 and attended the same U.S. Army Basic Combat Training (BCT) at Fort Leonard Wood, Missouri. As new recruits, we were assigned to Charlie Company, 82d Chemical Battalion, 3d Chemical Brigade. Training began 12 OCT and for me, it ended 14 DEC. For Manning, however, graduation from Charlie Company never came. Her problems began the moment she arrived on station. During Reception and Integration, Drill Sergeants conducted what is known as “the Shark Attack”: the company’s entire Drill Sergeant cadre descends on a busload of new recruits to welcome them to their home for the next nine weeks. It is intense and it is intentionally disorienting. If the recruit displays any emotion, non-verbal reaction, or any appearance of weakness, they will immediately receive the unrelenting attention of the Cadre. They probe for mental weakness and emotional triggers, assessing who will likely need the most shaping, molding, and mentoring. To ensure sufficient stress during this event, our Cadre’s Shark Attack was enabled by a simple instruction: hold your duffel bag in front of your face. Do not let it drop below your eyes. After the first day, lights came on promptly at 04:20AM every morning, accompanied by the booming voice of a Drill Sergeant blasting through the intercom system, announcing the uniform of the day. By 04:30 we were expected to have bunks made, personal hygiene conducted (clean shaven, teeth brushed, pit stick applied, etc. ), wall lockers secured, and already be outside, in formation, waiting for the Drill Sergeants to initiate Accountability Report and then Physical Training (PT). No one could accomplish all of those tasks in ten minutes. Therefore as a matter of custom everyone woke up at 04:00AM and silently conducted their business in the dark. At 04:20 when the uniform of the day was put out, half the company would be conducting personal hygiene in the latrine area where the intercom system was too faint to hear. Everyone knew that if you heard the uniform of the day, you repeated it to everyone you saw – you shouted it out. It was a team effort to achieve uniformity, because if even one person was in the wrong uniform, then the entire group was at fault. Faulty uniforms meant poor communication; poor communication indicated a lack of discipline. Undisciplined Soldiers are like nails sticking up from a wooden board: they must be hammered down. One morning at formation there was an audible rumble on the other side of the PT pad in Manning’s direction virtually as the Drill Sergeants were walking up and long after anyone should have even been whispering. What was going on? According to most, the general story went: Manning called out the uniform of the day, waited until her squad was dressed and had moved out to the morning formation, when she then put on the real, correct uniform of the day and ran to catch up. The commotion at the formation was her saying that she heard at the last minute what the real uniform was and it wasn’t her fault they were wrong; the rest of the team apparently was having none of it. In the Army, if everyone is wrong together, then they’re still right; uniformity is one of the highest virtues in our military. If one person is technically “right” but the rest of the team is uniformly wrong, then the technically “right” person is still wrong; everyone is still punished equally. By week two everybody knew that, lived it and lived with it. Everyone, except Manning. For the trainees of Charlie 82d, the sound of Chelsea Manning’s voice may forever elicit the two words so commonly overheard from her during her six weeks: “I can’t.” In our comparison of memories over the years, fellow recruits in C Co. have confirmed for me: when the going got tough, Chelsea said, “I can’t.” jerry-can-run The first time I heard her say it, it was during Jerry Can training. A common physical exercise used by the Drill Sergeants during the first three weeks of training to correct a deficiency was aerobic and anaerobic work while holding a five-gallon Jerry Can of water. Pushups. Sit-ups. Overhead military presses and squats. Any exercise you could do with body weight, we did with 5-Gallon jugs of water. If a recruit thought no one would notice and emptied out their jug to lighten their load, then the Cadre would order another recruit to carry two jugs. Selfish acts which caused others to suffer were dealt with swiftly within the platoons. I remember Manning during one of these exercises, because she was struggling. We had to hold the Jerry Can over our heads, arms fully extended and locked at the elbows while we did squats, in cadence, counting from 1 to 10. If we made it to ten, the exercise was over. However, if a recruit got out of sequence and stood when s/he should have been squatting, we started over at 1. If a recruit dropped the can, we started over at 1. If we didn’t all count together, we started over at 1. Manning couldn’t hold the can and do the exercise, but the truth was, nobody could. The purpose never was to really to get to 10. It was to inoculate you to stress and to teach you to never quit, no matter how much it hurt or how hopeless even the simplest group-task had become. When the Drill Sergeants finally reduced the goal to a 5 count, and then 3, and then to a 1-count held for just 10 seconds by everyone in unison, they let us stop. That is, everyone who had tried their hardest. A handful needed additional motivation and had to keep going. The Drill Sergeants, as intense yet consummate professionals, circled around Manning and matter-of-factly laid out the task, “get it over your head now!” It was the rest of the recruits in the group who saw this and told Manning, “C’mon, don’t quit. You’ve got this. C’mon Manning, you can do it.” And then, in that most Soldierly of acts, a handful said “Here, we’ll do it with you. We’ll do it together.” Her immediate battle buddies picked up their jugs and stood around her, doing more of the exercise, trying to coordinate with and motivate her. I remember watching with the rest of the group. She never made eye contact with any of them. There was no connection to the people trying to help her. Instead, I saw her face turned scarlet, sweat pouring off her face, grimacing. And through grit teeth, she moaned in agony, “I can’t,” and she dropped her Jerry Can. We ate with spoons because forks and knifes took too long. We only picked food that didn’t require chewing anyway. We were entirely silent; no one would dream of talking at moments like that, and besides, we were all too hungry. “Two minutes and fifteen seconds remaining,” the Drill Sergeants would call out across the building. We swallowed every mouthful with a swig of water so it would go down faster. We knew we’d be near throwing it up in less than 30 minutes, but for that – “one minute and fifteen seconds remaining –” that we still had food, we were happy to eat anything. Our meals were taken at only that Dining Facility, or in the field. Any food taken, consumed, or even found anywhere outside the Dining Facility was considered contraband and would be punished under Article 15 of the Uniform Code of Military Justice. Chow time was sacred. At 10 seconds, the Drill Sergeant would start the countdown. God help you if you were still chewing when the count ran out. “3. 2. 1. You’re done. You’re done! Spit it out! SPIT IT OUT. YOU ARE DONE WHEN I SAY YOU’RE DONE, DO YOU UNDERSTAND ME.” Everyone understood – Drill Sergeants are not to be messed with. Their rules are laws. You do not cross them, you do not question them, you do not deviate in any way from the norms and behaviors they established way back on day one. Everyone knows that. Red in the face, coughing and gasping and holding her throat with one hand, Manning gurgled out, “Drill Sergeant, I’m choking. I’m choking, Drill Sergeant. I can’t breathe, I can’t – ” when she reached out a hand, and physically placed that hand on the Drill Sergeant’s forearm. Manning stopped choking instantly. She put her arms down at her sides, turned away and said, “Drill Sergeant, yes Drill Sergeant, it won’t happen again.” She sat back down, and finished eating. That was the last time I saw Chelsea Manning in person, in Basic Combat Training at Fort Leonard Wood, Missouri. I graduated in December and moved on to Advanced Individual Training (AIT) for Mandarin Chinese in California. In 2013, I met a Senior, fellow Chinese Linguist at language training class at Fort Bragg, NC who told me he had known Manning in 2008 while they were both at Fort Huachuca, AZ for training. In that same Chinese language class, I spoke to another Senior linguist who told me he had met Manning in 2009 in Iraq as he was rotating out of the country, and Manning’s unit was rotating in. I don’t know what it means that you can trace half of Manning’s career in the Army based on which Chinese Linguist was closest to her at the time, but I do know that she’s in the background of nearly every career of every U.S. Army intelligence analyst active in the last decade. Her actions changed fundamental practices in the DoD. Manning altered not only the way we think about information security, authentication and confidentiality, but also about the grave damage posed by the insider threat. The final point which need be made is not about whether the punishment fit the crime, about whether Chelsea Manning’s actions were justified, or whether the leaks endangered lives or saved civil liberties. Those are important, heady issues, but they’ve also been rehearsed and rehashed, debated, plotted, and picketed many times-over since 2010. Instead, the final point which need be made is about the environment in which Chelsea Manning grew up in the military. Its relevant that someone finally speak on the composition of Basic Training classes, Charlie 82d itself and more generally, the Army at large. That characterization is relevant for understanding Manning’s state of mind leading up to and during the theft and leaking of classified national intelligence, and in-turn helps to interpret Manning’s legacy. Charlie 82d was a non-infantry, Basic Combat Training class composed much the same as all BCT classes, and the same way the Army as a whole is composed: by everybody, and every body-type; every ethnic background, religion, personality, and yes every sexual orientation all filling the ranks. Those variables were distributed across a bell curve of aptitudes, education levels, socio-economic status’ and geographic hometowns. 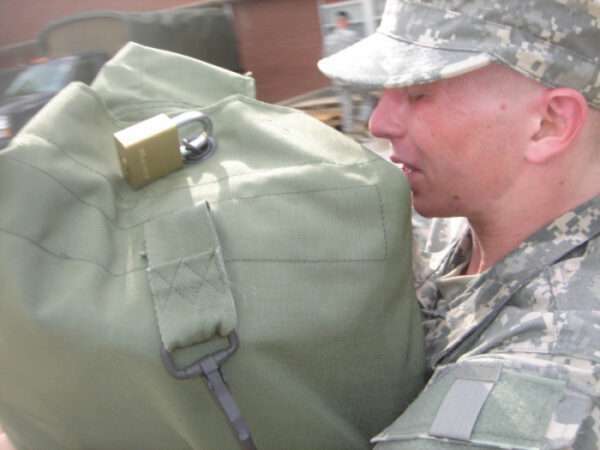 In 2007, the U.S. Army was habitually failing to meet its monthly recruiting goals; the application standards relaxed and a great cross-section of humanity ended up reporting for duty that warm October at Fort Leonard Wood. In the company, there was a 17-year-old who had enlisted with a waiver, and there was: a 42-year-old mother of three who was terrified of needles; a new grandmother to a brand-new infant granddaughter; and a former coffee distributor in South America in his mid-thirties who everyone still called “Grandpa.” One recruit ironically named “Goesforth” went AWOL within 48 hours of arrival, deserted the military, and was never seen again. 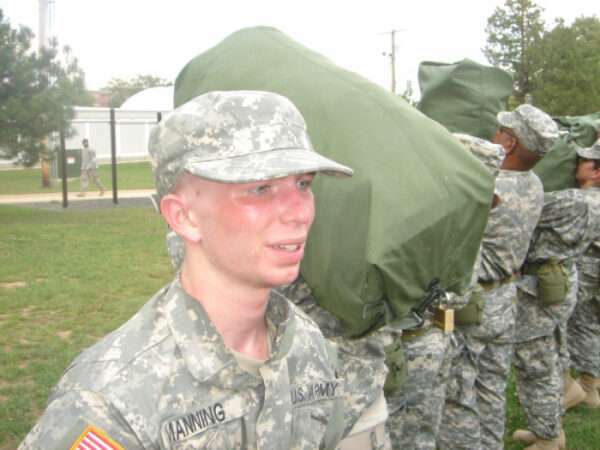 One recruit in fourth platoon had been homeless before he joined, and another had blown his entire first university semester’s tuition on OxyContin before he dropped out and enlisted. One recruit was a Mexican citizen who was willing to go to Iraq and fight for the United States in exchange for expedited citizenship. Another was a female with dual German/American citizenship who was so short, the German Army wouldn’t take her, so she joined up with the Americans instead. Charlie 82d had dads in their mid-thirties, and it had dads not yet old enough to buy beer. My platoon had a single mom who had been working as a an exotic dancer before she raised her right hand and took the oath; another had married young, got divorced and wanted to get as far away from her Ex as possible; she figured the Middle East was probably far enough, but if he tried to find her there, he’d probably just get blown up by an IED – problem solved. Like the Army itself, the Basic Combat Training company into which Chelsea Manning entered had on-hand and present for duty the living, breathing testimonies of virtually every story within the American experience. This is where we need to set the record straight, because if you buy the premise that Manning had a heart of gold but was perpetually picked on by bullies anyway, then it’s a foregone conclusion that she had to finally fightback when the time came to face the biggest bully of them all. These are the facts: Chelsea Manning was timid and small, but she certainly wasn’t the only one. There were dozens of recruits – male and female – in the last cycle of Charlie 82d that autumn who were under 5’4” and couldn’t have weighed more than 140lbs. Some were physically uncoordinated and seemingly had never spent a day outdoors in their entire lives. Others were natural athletes with a killer instinct that always seemed to put them on top, no matter what the challenge. Some had nothing to prove, and some had everything to prove. It wasn’t size, or stature, or speed, or strength, or even the ability to finish all the events that decided how high a recruit could hold her head in the community. That is a fact. What is not accurate is the false and felonious image of the U.S. military on which the defense of her conduct has been, at its root, predicated: that somehow everyone in her formative years in the military was practically part of a tribe of 6’2”, overly-aggressive Alpha males pumping testosterone out their pores who ganged up on the smallest in the group and tore her apart out of hyper-machismo intolerance; that War is so brutish and nasty, that Warriors too must be. That is simply not accurate. Chelsea Manning wasn’t being picked on at the Shark Attack when the Drill Sergeants said she had to lift her own bag like everyone else, and she said she couldn’t. She wasn’t being picked on when those Soldiers tried to help motivate her to lift the Jerry Can over her head and even picked up their own and did the exercise again, with her, out of solidarity. And when she faked a choking fit in the middle of the Dining Facility, it wasn’t because someone else was tormenting her – she was tormenting herself. Chelsea Manning was not picked on or harassed because of her gender or identity; she was not bullied because she was small or appeared easily overpowered or dominated. No, Chelsea Manning was ostracized. Because some unknown in her character prevented her from ever truly entering into that covenant of self-sacrifice upon which collective group defense depends, she could not ever satisfactorily contribute to the welfare of the group. In a social schema where the defense of the group becomes the perpetual rationale for why the group should even continue existing, Chelsea Manning either could not or would not sacrifice enough of herself to inspire loyalty among comrades. Soldiers usually adopt these values in reaction to physical and emotional stressors, to the demands of group accountability, and to their dependency on the group for survival. For that reason, by the end of Basic Combat Training most grudges have been put aside, and any rivalries have abated; this happens exactly because Soldiers have by then learned those lessons in loyalty and self-sacrifice. Everybody learns those lessons. Jay Huwieler is an Intelligence Analyst and Cyber Security expert serving a variety of customers across the U.S. Intelligence Community. Prior to serving in the U.S. Army as an Airborne Chinese Linguist, Jay was an ESL Teacher in South Korea, a high school English instructor in Arkansas, and a descriptive linguist at the School of Oriental and African Studies, University of London, U.K. His monthly blog covers developments in Foreign Affairs, Security, and Tech, analyzing how all three converge to shape emerging global trends and policies. For more, visit www.Huwieler.net or follow him on Twitter @huwieler.